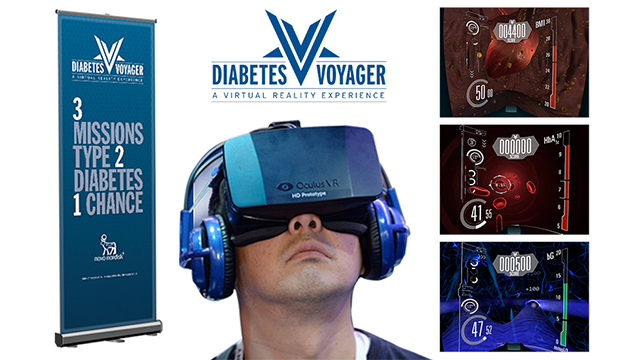 emotive is very proud to announce that our virtual reality project ‘Diabetes Voyager’ for Novo Nordisk collected a Silver at the global 2014 Rx Club Awards held in New York last night. The Rx Club Show honours the creative aspects of global healthcare advertising and promotion and holds creative concept and execution as the only criteria for merit. The awards ceremony took place on Thursday, November 20th in New York City and was attended by hundreds of industry colleagues. With thousands of entries from around the world, this Silver for Diabetes Voyager was one of only 14 Silver’s awarded, clearly recognising the ground-breaking innovation and creativity behind this successful project. Diabetes Voyager was also recently recognised in ‘Innovation Award – Pushing Boundaries’ category at the 2014 PM Digital Media Awards. For more information on how emotive can help you deliver award-winning, healthcare innovation and digital solutions, please get in touch with Chris Edmonds, chris@thinkemotive.com or call +44 207 148 0408.